Cups and Cakes Bakery is taking another (first?) step in mainstream bitcoin adoption: running ads in SF cabs proudly displaying their bitcoin acceptance. More public exposure to the concept and logo are necessary for the public to adopt it as a payment method. While you see forum posts every day of a few new businesses starting up and taking bitcoin, in reality, most people don’t know what it is. Seeing an ad featuring bitcoin feels like it’s starting to move away from being a concept to being part of the world around us. 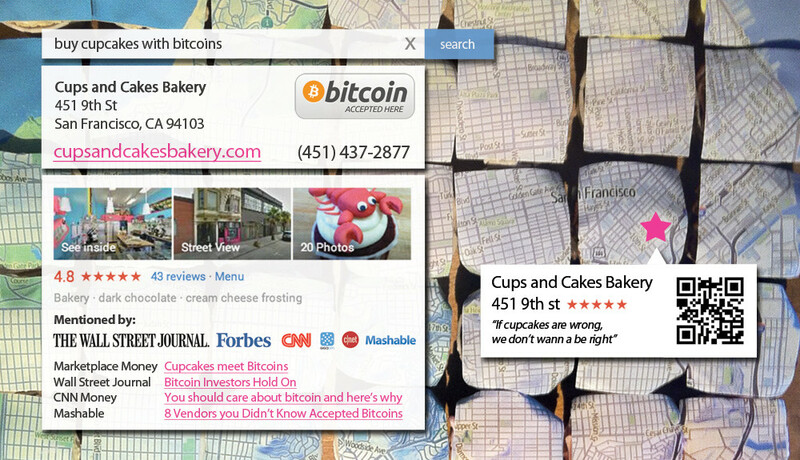 It wouldn’t hurt for other businesses to push into traditional advertising venues to help promote bitcoin. Fans could even crowdsource a bus ad or something to share awareness to those who aren’t interested in finance or technology, and help everyday people understand how bitcoin could impact their lives.